New Apple iPhone 6 will Launch By Q1 2014. To replicate the success of Elife E6, Gionee launches another law cost smartphone with high end features. 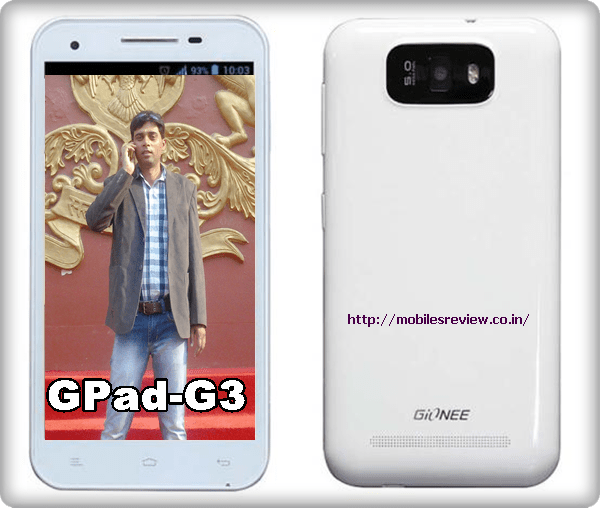 I am talking about Gionee GPad-G3 which launched in Indian market priced at Rs 9,999. It will give stiff competition to Micromax Doodle and Intex i5. The all new Gionee GPad-G3 offers you a 5.5-inch Capactive touch screen display with resolution 480×854 pixels runs on Android Jelly Bean 4.2 OS powered by a 1.2 GHz quad core processor with 1GB RAM and 4GB internal memory expandable up to 32GB via MicroSD card sporting a 5MP camera with Flash and 0.3-megapixel front facing camera packed with a 2250 mAh battery and measuring 157.30 x 79.30 x 9.60 with 3G and Wi-Fi. At last I would like to say that Gionee GPad-G3 will please the smartphone lovers in India. What you think? Please be open to give your view.